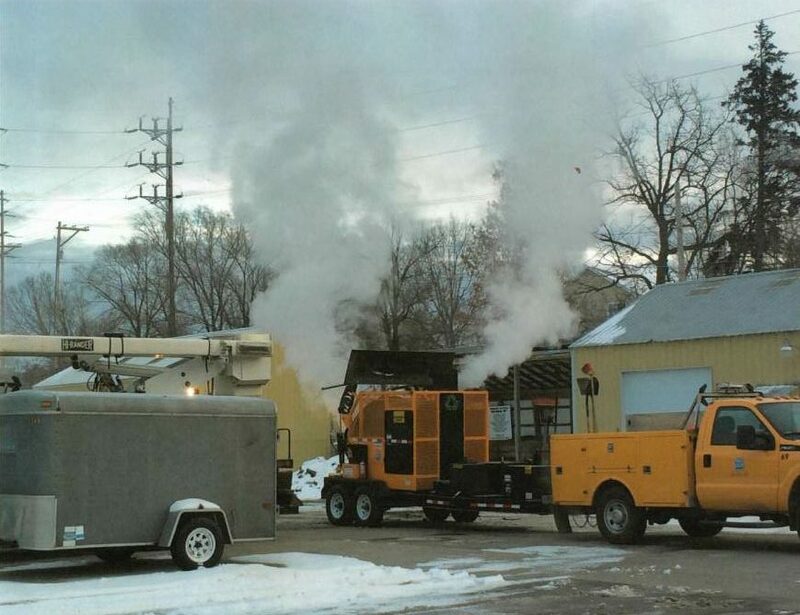 Although the T-2 is portable, most asphalt is hauled back to where the city stores its asphalt to be recycled and is then transported to the job in a hot box. 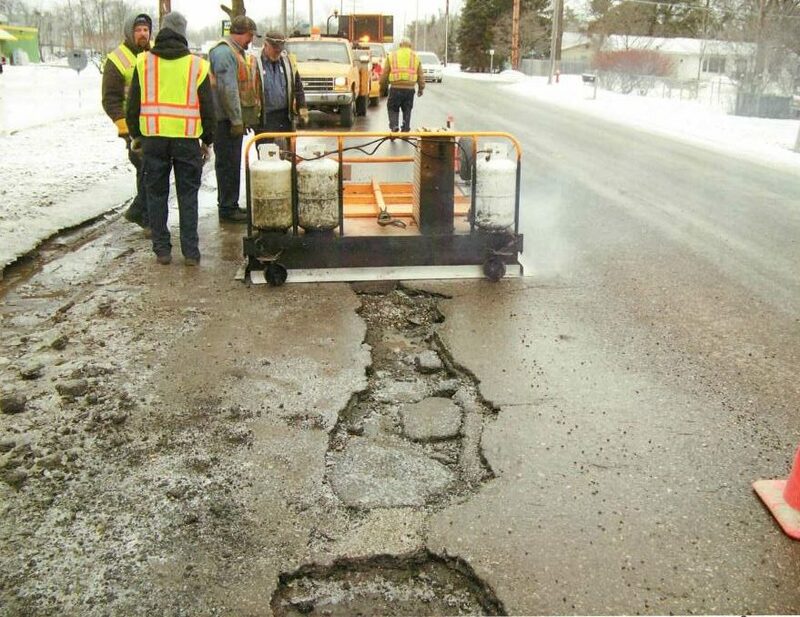 When it comes to performing a lasting repair, the persistent freeze thaw cycles of northern Michigan can be a pain. That’s why they purchased the T-2 recycler from KM International in July of 2014. Alongside their infrared heater, the T-2 allows them to save money on winter repairs, reduce claims, keep crews safer and perform a lasting patch. After investing in the T-2, Jones said the cost of recycling is minimal: diesel fuel, rejuvenator, and hot mix. “Now, when we do a utility patch, we can save the asphalt we tear out if it’s in decent shape and recycle that,” Jones said. In the past, he said, if they had to perform a utility repair in the winter, they would fill it in with concrete. 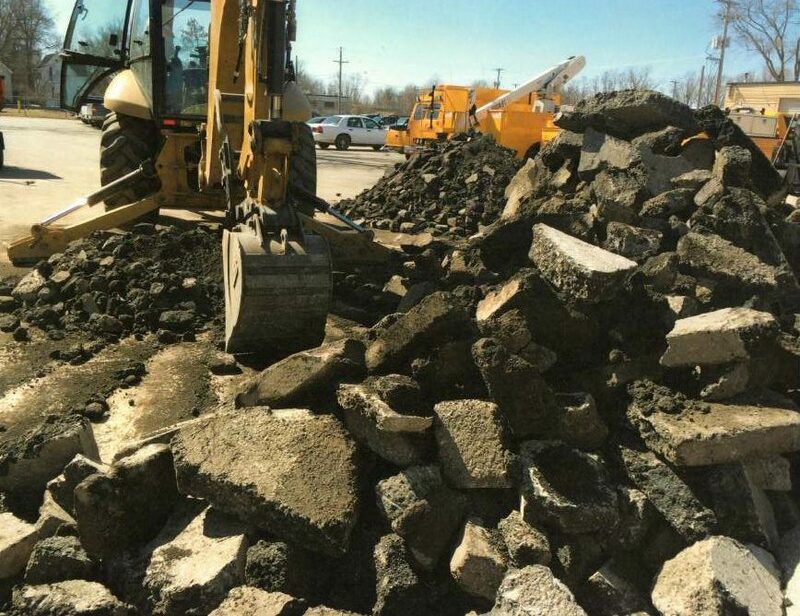 Each year, the city purchases around 200 tons of asphalt, which they stockpile in “biscuits” for use throughout the winter. 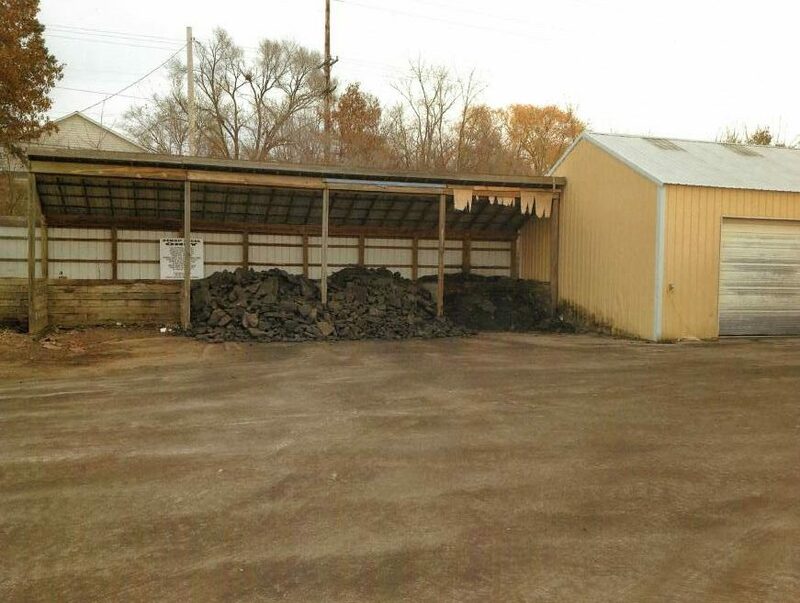 Before the asphalt plants in the area close for winter in mid-November, the city purchases around 200 tons of asphalt at approximately $70 a ton (this year, Jones said, they got it for $60). That’s roughly six months of pothole repair, Jones estimates. The mix is delivered to the city and spread out to a height of 2 to 4 inches. Then, they allow it to harden before breaking it up into “biscuits,” Jones said, that can fit into the recycler, and place them into the city’s six bins. When it comes time to use the asphalt, the city’s midnight shift team loads the biscuits into the recycler with a backhoe. Typically, Jones estimates, they can produce one and one-quarter tons in each batch. The crew loads asphalt “biscuits” into the recycler for patching projects throughout the winter. If the asphalt is new, they’ll add about three quarters of a gallon of rejuvenator per batch. If the asphalt has been reclaimed, it’ll typically require more rejuvenator. If they are recycling existing asphalt, Jones adds that it’s important to make sure the asphalt isn’t contaminated. For this, his team uses its own invention: grizzly bars. 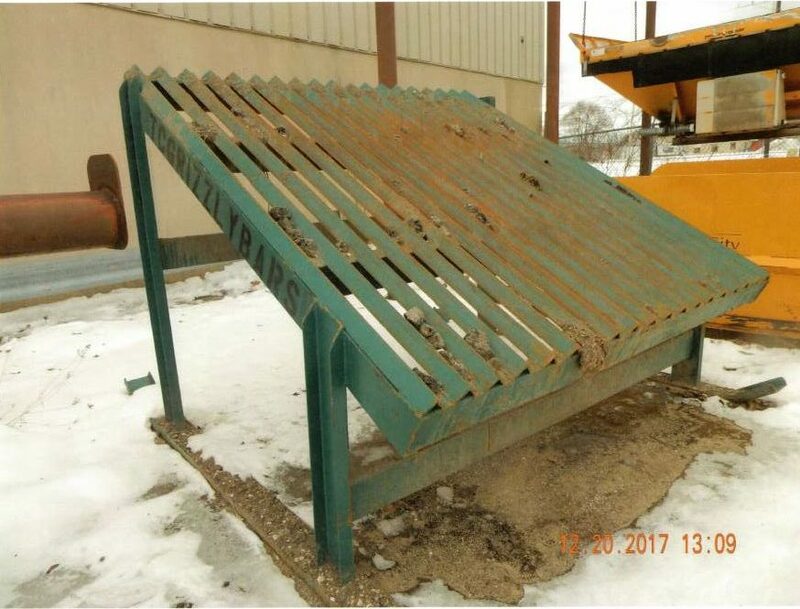 The city uses an invention called grizzly bars to remove unwanted contaminants. Essentially, it’s a screen to dump the asphalt across to weed out the unwanted contaminants. The length of time it takes for the T-2 to bring the asphalt to the proper temperature depends on the ambient temperature, but it typically ranges from an hour to one and a half hours, Jones said. “If the material is moist, we’ll need to run it long enough to remove that,” he adds. The crew aims for mix between 300 and 350 degrees, and the average temp of finished mix is around 325. After the mix is ready, the team uses a backhoe to transfer it into their Kaiser Morris patch wagon or KM 8000 hotbox. Typically, Jones said, the T-2 stays next to the asphalt supply. If the mix is for a pothole, the crew will travel down the road in the patch wagon filling potholes. If it’s for a utility patch, the hot box will show up to the job, which will already be prepped and ready for the mix. Like any pavement maintenance work, making sure the repair area is clean is very important before laying the mix. “When we dump it, it looks like asphalt coming out of the plant,” Jones said. When it comes to getting good results, Jones said they’ve seen success with this method on projects ranging from the smallest pothole up to a 15-ton patch. “Small to big, there aren’t any patches we wouldn’t use it for,” he said. For example, this past season, a Michigan DOT turnpike was in need of a significant patch that probably couldn’t wait until spring. “It took 15 tons to fix, which normally would have been concrete that we’d tear up and replace with asphalt in the spring,” Jones said. With their T-2 and infrared heater, they were able to repair the asphalt patch so well that when the DOT inspected it in the spring, they said it was good enough to keep. Using this process has also reduced claims for blown tires and other issues that arise with potholes and poor patches. 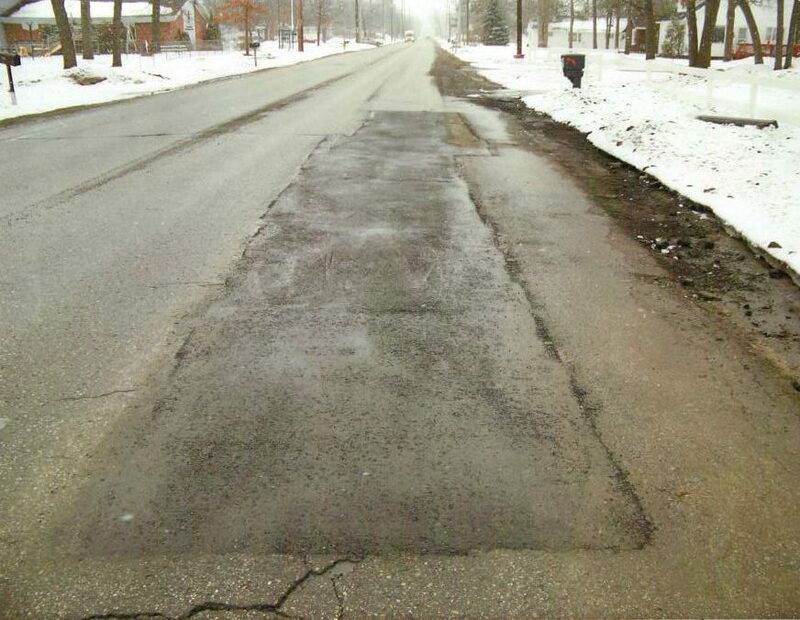 In 2015, the city used its KM T-2 and infrared heater to repair an aged stretch of asphalt along Barlow Street. Since the repair, they have not had to return to the area for additional repairs. Prior to that, Jones said, he was sending a crew to repair a pothole on that stretch almost daily. In that way, the process has also made patching safer.